A singular man, utterly devoted to the New Testament, Shelton C. Dunning was considered fanatical, perhaps naive. Yet no one ever questioned the sincerity of his convictions. He was of medium height, stood quite erect. He usually carried a walking cane. He wore no beard and had a healthy, reddish complexion with abundant, light hair. A charming smile, combined with a sense of humor, made him a delightful conversationalist. Born in Welton Township, Fairfield County, Conn., in 1780, his parents were Episcopalians. It is not known when he moved to Georgia and located at Savannah. He became a Baptist minister, but seceded from the Baptist church. As related, his study of the New Testament led him to immersion about 1819. Dunning was a charter member of the Savannah Steamship Co., incorporated by the Georgia Legislature on Dec. 19, 1818. When the stockholders met, Feb. 25, 1819, he was chosen one of five directors for the firm. "There was a ready sale for shares of the company, due to the well-known character and high standing of the incorporators. "1 Those businessmen were responsible for the construction of the "City of Savannah," the first steamship to sail the Atlantic, which was in 1819. Dunning earned much money from his maritime interests, but lost heavily and left the business. With a reasonable competency, he later turned to writing life insurance. His first marriage was to a Miss Richards. 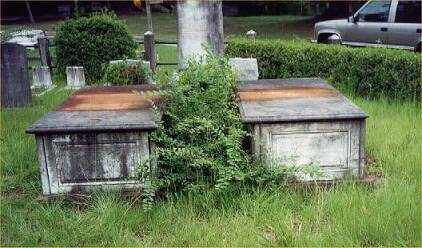 They had four children: a daughter, Sarah, who became Mrs. Henry Davis Weed, mother of Episcopal Bishop Edwin Gardner Weed (1837-1924) of Florida; and Gertrude, William, and Shelton Dunning. A Mrs. Osborne became the second wife. The family resided in a frame, duplex house, old and unusual, on Broughton Street, Savannah. The husband and father did the marketing and liked to work in the garden. Dunning's eccentricities likely increased the difficulties of establishing a congregation of Disciples at the seaport. Friends would smile tolerantly and go their separate ways. When James J. Trott, Cherokee missionary and evangelist, was once Dunning's guest, he preached in the home, as was customary. Later, he referred to "some of the brethren" being "too zealous for the letter. "3 Such literalism was responsible, no doubt, for the failure of the Disciples to grow at Savannah in those years. Dunning sought to follow the New Testament practice of every Christian being an evangelist. Smith and Dunning joined in the summer of 1846 for preaching in Georgia and Alabama. Thereafter, until Dunning's death, every summer and into the autumn, the two preached together at many places. 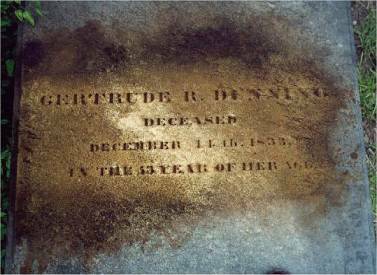 Dunning died of apoplexy at Savannah, Apr. 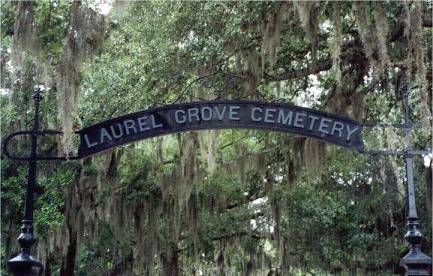 2, 1858, at the age of 78.6 He was buried in Laurel Grove Cemetery there. When his estate was settled, it was found that a corner lot in Savannah, owned by Dunning, was kept vacant for years. It seemed that he intended to use it for a church building. However, there was no provision for disposition to the church, so the property went to his heirs. After his passing, the Dunning family moved to Augusta and no more was heard of the members in the annals of Georgia Disciples. 2Nathan W. Smith, "An Old Preacher's Experience," Christian Standard, May 17, 1879, p. 156. 3Gospel Advocate, Apr. 1857, quoted in Barfield, op. cit., p. 34. 4 Mary D. Howell, "The Life of Dr. Daniel Hook" (Unpublished MS., 1875), p. 53. Typed copy in possession of The Disciples of Christ Historical Society, Nashville, Tenn.
Head Toward Savannah, Georgia on I-16. Go to Exit #166 and turn right on E. Gwinnett. Then turn to your first right on May St. Go to the end of that road and turn left on W. Anderson. Enter the Cemetery on the left. The address is 802 W. Anderson St., Savannah, GA, 31415. Phone # (912) 651-6772. Hover over green arrow below for specific location. Hover over green button below for specific location. 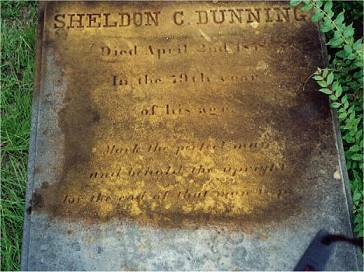 Special thanks to Ray and Barbara Cozart for providing the pictures of the grave of S.C. Dunning. Also, note that in the above article taken from Moseley's book on the history of the Disciples in Georgia, he spells Dunning's first name with a "t" Shelton, not as the grave marker designates it as "d" Sheldon.